This ultra-durable interactive toy features 5 different openings to hide treats. Once treats are buried in the openings dogs will have to chew, squeeze and work to release them. This toy is designed to release treats only when the dog has applied enough pressure for them to pop out! 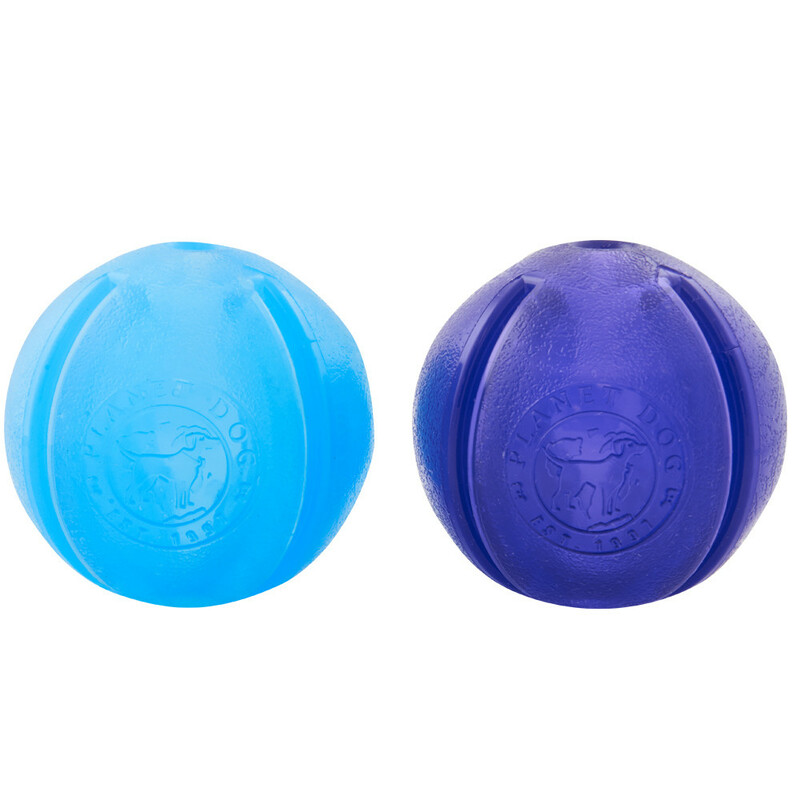 The texture of the GuRu ball is gentle on dog's gums as they furiously work to get a strong enough grip to release treats. Fill each opening with something different or load it up with your dog's favorite treat. Works great with kibble, bully sticks, carrots, apples, Planet Dog Treats, peanut butter, or whatever else your dog goes crazy for!